Gund previously made What’s on Your Plate?, a critically-acclaimed multimedia project about kids and food politics; the Independent Lens films Motherland Afghanistan and A Touch of Greatness (nominated for an Emmy); and Hallelujah! Ron Athey: A Story of Deliverance. She also co-founded the Third Wave Foundation, which targets grants and programs to young women between 15 and 30. Gund took time out from her busy schedule to talk to us about Born to Fly, which premieres tonight on Independent Lens on PBS at 10 pm [check local listings], including how she hope the film will inspire others and on her work with the great Albert Maysles. I could see in Streb a powerhouse, a searching, restless, committed and brilliant woman. I love how her work makes me feel like I’m stronger than I act, like I have more in me than I think, like I, too, can move mountains. I value the power and necessity of art in practice, and I’m eager to learn what I can from interacting with its practitioners. The turning point was at one of STREB’s gala events when Elizabeth asked me to drop a bowling ball down 35 feet into the waiting hands of her emcee Zaire Baptiste. His catch – even his willingness to attempt a catch of this kind – evoked profound feelings of fear and trust in me. It was a deceptively simple maneuver that left me speechless. I wanted to see if I could elicit those feelings in viewers of a film. I challenged myself to use my particular time-based, artistic medium not merely to document Elizabeth’s work but to expand it. In fact, I wanted to collide our two artistic forms to invent a third kind of breathless, sweaty, heart-pounding experience. Did you have any experience yourself with dance or performance art before embarking on this project? The short answer is no. But my interest in Streb’s work has less to do with its identity as dance, and more to do with how much it relies on bravery and imagination. In fact, I have a fascination with how much her work breaks down labels and identities, tears up assumptions. I first met Streb 25 years ago when I was in college at Brown. She was a visiting dance professor one semester, and my best friend was her student. Getting to know Streb’s work made me feel like throwing myself against a wall. Talking with her made me think I might be able to fly. Later in life, I became the parent who says chop wood with your feet planted steadily apart, play with fire on purpose, carefully handle sharp knives when cooking, and take a STREB trapeze class. You don’t have to parent the way Parenting Magazine dictates. You don’t have to dance the way Dance Magazine dictates. Streb and I found each other in her land of misfit toys and we celebrate the misfit approach to life. So, in a way, you could say I was destined to create this project even though I’ve never taken a dance class myself. What impact do you hope Born to Fly will have? I hope the film helps viewers get past their fears to a place of agency, empowerment and inspiration. Our government and media insist on terrifying us unnecessarily. So people are scared of everything: they’re going to lose their jobs; their school is going to close; people from other countries are going to kill them; they’re not wearing the right clothing or eating the right food; the economy is going to tank; they’re going to get sick from going outside; fairness and equality will surely destroy the world. We have to be brave to counter the misinformation, to find strength in community, to believe that justice is possible. But on the path to fearlessness, you have to acknowledge how terrifying real life can be. Elizabeth Streb and her dancers are pros at this. Elizabeth leaps tall buildings in a single bound. Not exactly, but she’s always pushing for it in her mind and in her sketchbook, which is a driven, random, and brilliantly complicated place. She just hasn’t yet made the machine that will catapult her – or more likely, her dancers – that far. She hasn’t finished calculating the heft of a body falling from a truss 40 feet in the air. But she has coerced a dancer/body into falling from 35 feet. What happens next? Streb has great aspirations, rough joy and eerie recollections. She will not stop until she explodes into dust when her aging, crooked body is all used up. Born to Fly zooms in on risk and cost, and allows viewers to imagine that the sensation we earn from submitting is totally worth it. Happily, our biggest challenge turned into our greatest opportunity. Before making this film, I had never focused my camera (or frankly much of my time) on dance. Without visual or historical context, I might have had to rely (for myself and for the film) on people’s descriptions, memories, and fantasies of what STREB dance looked like, how it evolved, how it made viewers feel, and where it came from. But Elizabeth had the foresight to document most of her work over time. Her dusty archives were a welcome benefit. Elizabeth gave us access to over 300 hours of footage, in every format possible – film, VHS, BetaCam, Hi-8, and more. The quality of the images runs a gorgeous gamut, giving vital texture and depth to our movie. We also had a magnificent variety of photos of Elizabeth since childhood and of her company from the ’80s to now. She also opened up the layers of her colorful and fascinating sketchbooks for us. We filmed wide shots, slo-mo and cool angles on her theatrical piece called FORCES, in addition to breakfasts, dinners, and commutes. A million different films could have grown out of all this material. Taming the beast with my editor, while incorporating the input of many smart and generous friends over the last few months, was harrowing at times, but we came up with a narrative and a look, and finalized one of those hundreds of ways to tell this particular story. It was all a dare: for me to drop the bowling ball; for Streb to appear, consent, and sometimes even to revel in our partnership; for nearly three hundred Kickstarter supporters to join when there was little to go on; for our other supporters to give more when that time came; for the dancers to keep falling and getting up; for the former dancers to remember and enlighten; for every one of my collaborators to bring her best self and to make a movie together. That’s a challenge. How did you gain the trust of both Streb and the dancers? A cool part of making the film was that Elizabeth and I met regularly for breakfast and just talked (usually for three or four hours) and ate. After months of this, I suggested we film one of our meetings, but it didn’t translate like seeing her work does, or spending time with her as she goes about her day, or capturing her dancers reflecting on their own motivations. So we went back to our jubilant get-togethers with no camera rolling. That’s how we worked stuff out, how I learned, how I listened. She did not have any artistic control over the film because I didn’t want to make an advertisement for her company. I wanted to tell a story about her, a story of intense encounter with life in which our real and imagined limitations make their way through us and we go for it or we don’t. Some have asked you why you didn’t include any critics in the film, discussing Streb’s work. I didn’t want anyone to mediate the viewers’ response to the work. Born to Fly directly presents one interpretation, my dialogue with Elizabeth and her dancers. I didn’t want to declare whether Streb’s work was good or bad. The film presents a clear channel, a chance for viewers to make up their own minds or, even better, to decide that an art world measure of the quality or success of the work doesn’t actually matter. Instead, the film is a lens to explore through, a place to leap off from and let yourself be riveted and rattled, to see something that stirs you, that mobilizes you to go a little further, go someplace you haven’t been, maximize the moment, feel the magic, whatever that magic is for you. Were there any dancers who didn’t want to participate? Who don’t have positive feelings about their time in the company? Her current dancers were excited to participate. They love what they do and the work demands that as long as they’re in it, they’re in it 100%. Of course there are people out there who have danced with Elizabeth and come away with feelings of anger or regret. Several. I think it’s partly resentment for not making better choices for oneself, but that’s hindsight and we all have that. And partly I think it’s anger over not being able to do it anymore, so people create negativity to make the separation possible. It’s a lot like a love relationship, really. That’s to be expected with so much adrenaline and power in one room. It’s true. Sometimes I get discouraged because we’re inundated by moving images from YouTube to Hollywood, to reality TV. It’s difficult, and sometimes feels impossible, to justify adding more images to the mix. But then I remember why I first got into documentary filmmaking. Truth is stranger than fiction. The more real, specific and detailed way you tell a story, the more universal and impactful it will be. Documentary filmmaking is also a great way to explore my own burning questions about what’s meaningful and significant, about why relationships are the foundation of social engagement. I attend to my characters, and I learn from them. I want to mine the form of documentary to motivate, mobilize and build understanding, to draw viewers into the now, into the most sacred space of feeling themselves alive and confident that life is worth fighting for. Great films don’t necessarily clarify anything in particular. Rather, they often make things more ambiguous and confusing, but that search, the uncertainty, can be intensely inspiring, and that’s what keeps me going. Was there anything you couldn’t get done while making the film? I didn’t have a fifth child. A subversive film that really worked on me was Julie Dash’s film Illusions. I wrote my college thesis about it. That was one of my first experiences of watching film critique itself as a medium, of seeing the medium employed to question its own historic mores, tendencies, traditions, propaganda, and illusions. Then Julie made the epic and stunning Daughters of the Dust, and although neither of these films is a documentary, they both made me feel the infinite possibilities of creativity, and they prove the importance of lushness, beauty, complexity — the magic that can be cinema. Dash not only honored her own vision and style, clearing a new space, but she gracefully and generously commandeered a powerful ship of actresses and actors, artists, filmmakers and crew. I was lucky enough to work with her in 1991 on a piece with the Urban Bush Women called Praisehouse. That was many lifetimes ago, but some things stay with you forever. I still have a strip of dusty white tape, used to label a camera reel, which says “AIN’T NUTTIN DIS FUNKY.” That’s how I’ve felt about filmmaking ever since. One of the cinematographers of Born to Fly is also my mentor. 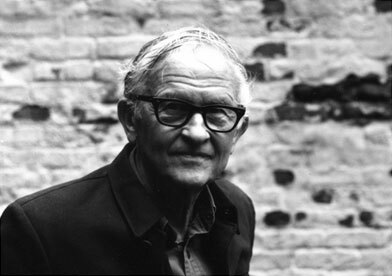 Al Maysles pioneered “direct cinema” and famously created many inspiring films including Gimme Shelter, Salesman and all his pieces about Christo and Jeanne-Claude. His patience reveals a purity akin to Elizabeth’s effort to isolate “the move.” Hers, you see it, then you feel it. His, you feel it, and then you start putting it together. That’s how a great film works on you, comes back to you days later, doesn’t explain what it’s doing. Al doesn’t need all the acting, all the forced reflection we get in “reality TV.” He doesn’t want the preparation or the transition, just the moment that moves you. But you have to wait for it. You have to film for hours… for months, without ever knowing what you’re waiting for. Al doesn’t sensationalize; he listens and watches. Finally, the late Marlon Riggs‘ film Tongues Untied signaled a huge breakthrough for documentary filmmakers because Riggs demonstrated confidence, creativity and commitment to his own unique and vital voice: black, queer, and brilliant. And although I was young, I had already started down this documentary filmmaking path and Marlon’s film, bravery, vision, and persistence definitely inspired me to continue. Could you talk a little more about the late, wonderful Albert Maysles’ work on the film? That must have been an amazing treat and honor. The day Al passed away, I noticed a piece of art by my friend Lorna Simpson that has been hanging in my office for countless years. I saw that, for her, the word is the shadow on the wall. Somehow this brought me to the core of Albert’s lessons: his films shined a light on stories, the stories then radiated love. Here’s to Al’s celebration of soul, to the soul of his vision, to the legacy of his celebration. He taught me that you have to get to know people to stop war. Love people, stop wars. He held your hand hard, trained his eyes right on your face and then got even closer, smiled so big that his eyes seemed to squeeze shut. I felt sure with him, sure of my own calling, sure of where I was, sure that was a place worth being, sure that beings were worth the work we did. Not because he dictated what to do or how to do it, but just because he told stories. And they always seemed worth it. Right after I decided to film Elizabeth Streb in London, I saw Al. He was introducing my daughter Sadie and her friend Safiyah as they received a youth leadership award from the Ryan Health Network for co-producing What’s on Your Plate? He asked about my next project. I described people walking down buildings and leaping from bridges. He said he wanted to shoot it. We booked plane tickets the very next day. From working so closely with Al, I learned that you can build the ship while you sail. In fact, there’s no other way to live this life… you learn while doing, listen closely, and enjoy every second. Work on projects that make you lose your footing and your wording, that make you cry on the bad days, that push you to your own limits, because otherwise, what’s the point? Filmmaking is a supremely collaborative art form, so make the most of that. You stand to learn so much about yourself. Find people who challenge you and encourage you and who dedicate themselves to the project, people who have great ideas and even better problem solving skills. My mantra for life is “Think Deeply. Solve Problems. Make Art.” You definitely have to do the first two things if you want to partake of the sublime possibilities offered by the last. Find your community in your work life and as the subject of your films. Your own community provides the scaffolding for the searching, the process of making films. The group that came together to make Born to Fly was mostly women with a few good men mixed in, a team of true artists, people invigorated by the challenges and inspired by the possibilities. If you want to work alone, this is probably not your best field. Community can provide solid fodder for stories on film. At Aubin Pictures, my nonprofit production company, we have been so inspired by making Born to Fly that we’ve jumped headlong into three new projects (usually we work on one at a time). They involve the power of protest, the passion of song, and the thin layer of history that can be mined for justice. We’re currently in pre-production on all of them, so we can’t say more, but stay tuned for when we pull back the curtains in the next couple months.